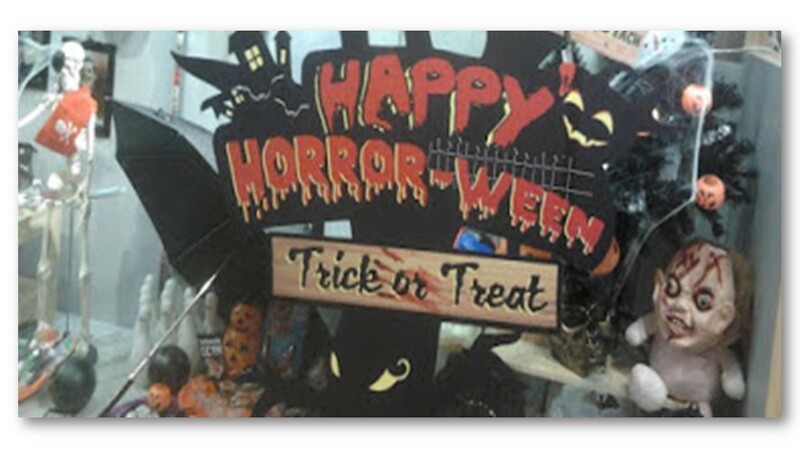 Friday Frolics - What Pumpkin Treat Are You? Sweet! It's Friday again. How time flies, doesn't it? 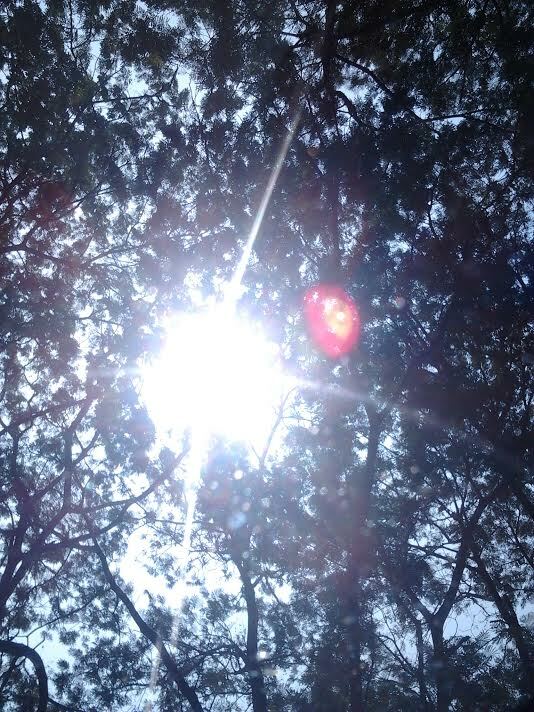 We have sunshine again here in Kuala Lumpur. Seems like the air quality in the region is much improved. Even Riau in Indonesia where the fires were raging has a PSI reading of 31 today. Can you believe it? Nice, huh! Lets hope it stays that way though here in Malaysia we are all prepared for the floods normally associated with the year-end North-east monsoon. The people in Kelantan (north-eastern state) are particularly wary after the devastating flood of last year which left many families displaced and much devastation in its wake. As regards this week's Personality Quiz, since Halloween is just around the corner and pumpkins are associated with Halloween, let's take a quiz associated with the pumpkin and see what Pumpkin Treat we are. Last week's Quiz: What Flavor Croissant Are You? Oh beauty! We are back in business, I mean, we are back to normal in the air quality department. We had rain yesterday and the day before which explains why we are seeing blue skies and playful white clouds today. Gosh, I have missed them! 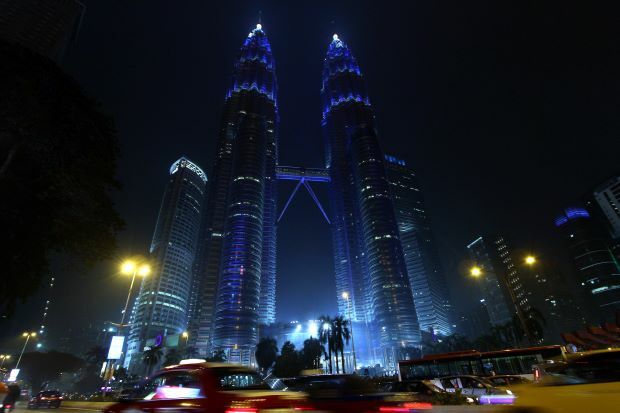 Tonight, Malaysia's iconic PETRONAS Twin Towers will be lit up in blue joining other famous landmarks around the world in marking the 70th anniversary of the United Nations. Apart from the Kuala Lumpur landmark, other structures taking part in the event include the Sydney Opera House, the Paris Eiffel Tower and the Empire State Building in New York. United Nations was established on 24 October, 1945, after World War II in order to prevent another such conflict. 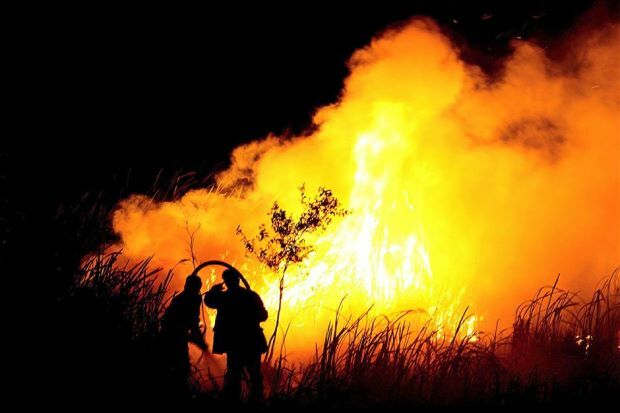 The image below shows firemen putting out a fire in Ogan Ilir in southern Sumatra. By the way, Sumatra is separated from Malaysia by just a narrow Straits of Malacca which explains why skies over Peninsula Malaysia get shrouded with smog when these peat fires start burning large tracks of dry forest land in Sumatra. This is the type of fire hotspots that have been raging the last two months and the very same ones that are causing the haze in the region. There are hundreds of these hotspots in various parts of Indonesia, especially Sumatra and Kalimantan. It has been reported that 32 helicopters and aircraft were already deployed over Indonesia to put out the fires. Six of these were from Australia, Malaysia and Singapore. This includes seven fixed wing water-bombers and four planes for cloud seeding. Two Russian Beriev Be-200 amphibious water-bombers, capable of dropping 12,000 litres each, have also been brought in. 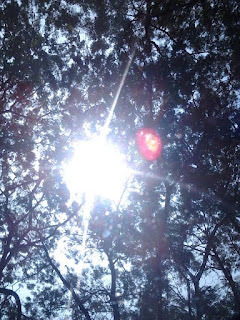 The Met Department says the northeast monsoon is expected to kick in soon and it is hopeful that by the middle or end of next week, the skies will be clear. 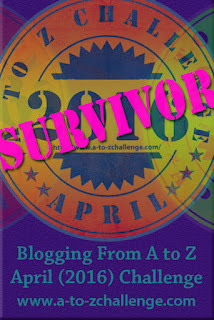 I am keeping my fingers crossed. 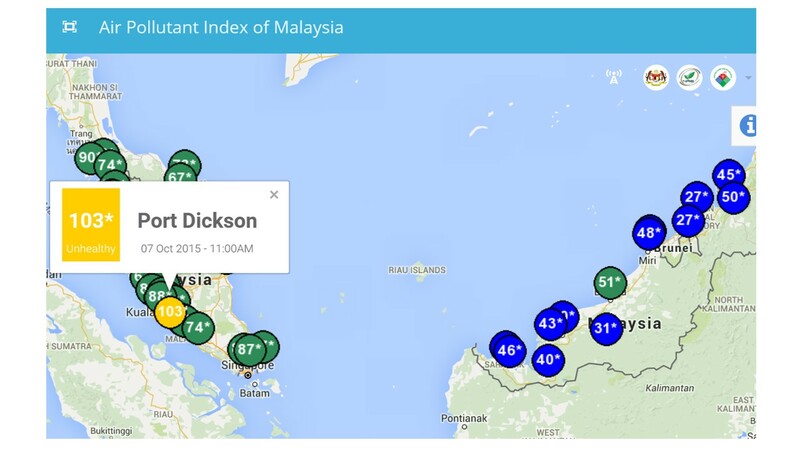 If you are planning a trip to Malaysia, it is still safe to make that trip. The sky may not be blue and clear but people go about their business without the need for a mask. So, there. It's still ok to enjoy a holiday here in the country or in Kuala Lumpur for that matter. I swear. Friday Frolics - What Flavor Croissant Are You? Here's an interesting Personality Quiz for you this week. It's about flavoured croissants. Don't fancy croissants? Never mind, just take the quiz. Find out what it says about you - and it'll be a lot, trust me. Pretty interesting questionnaire too. 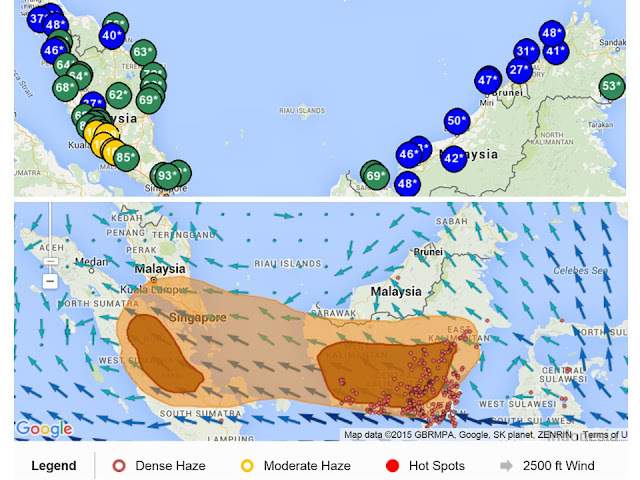 Enjoy..
p/s: We take a break from Haze talk today though it's still bad in KL and all over the country. Singapore is getting it worse today with western Singapore recording a reading of 231. Oh gosh! You are deeply passionate and emotional. You feel everything, and you don't hide what you're feeling. You have a strong personality, but you have the grace needed to smooth over any rough edges. People appreciate your strength. You are sharp and confident. You're always up for an interesting debate, and you have a fun comeback for anyone who tries to insult you. You don't have a mean bone in your body, but you also don't care what others think of you. You think you're living right. You enjoy treating yourself, and you always make sure to do a little something to make the day a little nicer. You understand the benefits of delayed gratification, but you'll have your gratification now, thank you! Haze situation and a little Surprise.. This morning I stopped to take this picture of this very fertile papaya tree silhouetted against the morning sun. Actually, I wanted to show that the air quality has improved a tad, at least here in Kuala Lumpur, as opposed to yesterday's API readings. No acrid smell in the air. As you can see, the sun is not just a well-defined egg yolk in the sky. However, today, schools in Penang, Putra­jaya, Selangor, Kuala Lumpur, Perak, Kedah, Perlis, Negri Sembilan and some areas in Pahang and Sarawak remain closed. Let's take a look at the API numbers for today. As you can see the north-western region of the peninsula is getting hit really hard - in purple. But let me draw your attention just a bit to one area in southern Kalimantan on the island of Borneo. I've circled it in red with an arrow pointing to it. That's a 999 reading! See that? Pity the people there. And here's an interesting picture I stumbled upon on The Jakarta Post. This shows the vicinity of the Lake Gardens in Kuala Lumpur taken three days ago. Read caption below the image. Alright, here's why we are getting the haze.. a hotspot map. Notice the lines of hot spots in Sulawesi and Papua. In Papua, "people are opening new agriculture areas, like palm oil", according to The Jakarta Post. The fires raging in forests and peatland across Indonesia, which produce the thick haze that has spread across South-east Asia in recent weeks, are unlikely to be put out in the next month or two. This means the crisis could persist into the new year, experts said, as the latest reports show hot spots emerging in 18 provinces in the archipelagic state in the past few days. On a brighter note, not all parts of the country are shrouded in haze. There is still bright sunshine and beautiful weather in Sabah particularly at resorts at Semporna. Ask these people..
Little wonder that schools are shut today in a number of states. 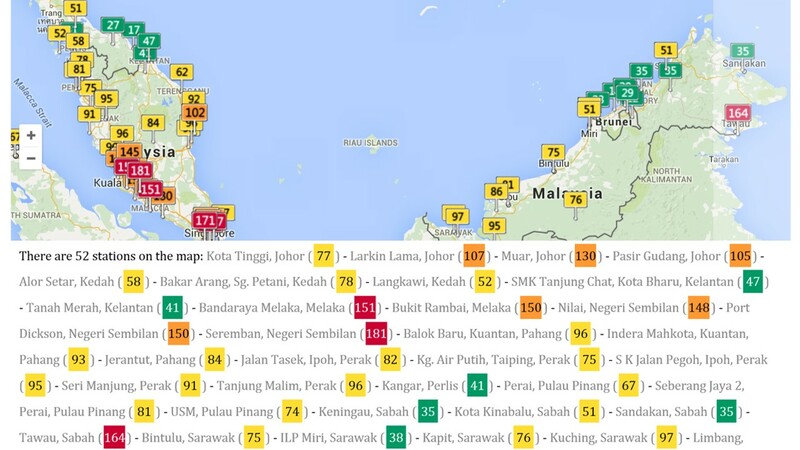 Seremban has hit 184 and as you can see the high API readings are mostly concentrated on the lower half of west coast of West Malaysia. Mondays shouldn't start like this. If anything, Mondays should come with blue skies and bright sunshine. No matter, may your weather be what you hope for wherever you are.. Happy Monday! A lovely song for a Saturday.. The haze is really bad today here in Kuala Lumpur, probably the entire peninsula. Still, life has to go on, right? Right? Enjoy the video from My Best Friend's Wedding. For those of you that have been wishin’ and hopin’ and saying a little prayer for another taste of the 90s classic My Best Friend’s Wedding, you are in luck! US TV station ABC have announced they are developing a script for a TV show that will follow the iconic story of shy food critic Julianne and her secret love Michael (and, of course, her other best friend, George). Julia Roberts, Dermot Mulroney, Cameron Diaz and Rupert Everett probably won’t be returning to reprise their roles, with the show set to hire a new cast of actors to take up the mantle. Sushi seems to be the type of food that people either love or loathe... with no in between. Select the piece of sushi you are most interested in, and find out what it says about you. Last Week's Quiz - How's Your Attention Span? Friday Frolics - How's Your Attention Span? Just when I thought it's going to be a sunny day today, alas, it's not to be. Yes, it's still hazy out there here in Kuala Lumpur despite the readings. We haven't had real sunshine since the haze started a month ago. I miss the sparrows chirping outside too and the pigeons in flight in groups. This morning was the sunniest these past weeks. I have a shot taken this morning to show for it. Talk about attention span, the weather I mean, this week's personality quiz is just about that - attention span - but you already know how you fare. Take the quiz anyway to see if it matches your real attention span. Your attention span is amazingly long. You can concentrate well, and your mind doesn't stray easily. Even if you have a mundane task to complete, you can get it done easily. Because you don't get distracted, you accomplish more than most people. Your self discipline is your greatest strength. You can will yourself to do almost anything. All you have to do is put your mind to it. From where I am, Kuala Lumpur, the haze is still bad. I know because I still need shades when I go out even though the sun is just a dull orange ball in the sky. But surprisingly the API reading on DOE's website shows otherwise. In fact, it looks very good on the chart. Take a look.. Except for Port Dickson with a reading of 103, it's either green or blue everywhere else. 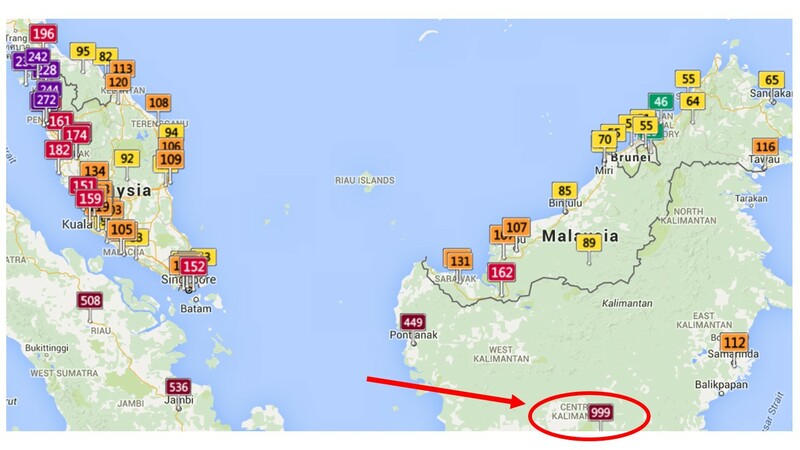 Yesterday, the haze was so bad in Langkawi that flights were not allowed to take off with visibility at just 500km. I also read the other day the haze is also affecting migratory birds making their annual journey here to escape the winter of east Asia - China, South Korea and Japan. Malaysia is one of the places these birds escape to. As migratory birds use the stars to guide them in their long distance flight south, the haze could make their flight difficult. Today, there is a news report that the people of Songkhla had sent a letter of complaint to Indonesia. 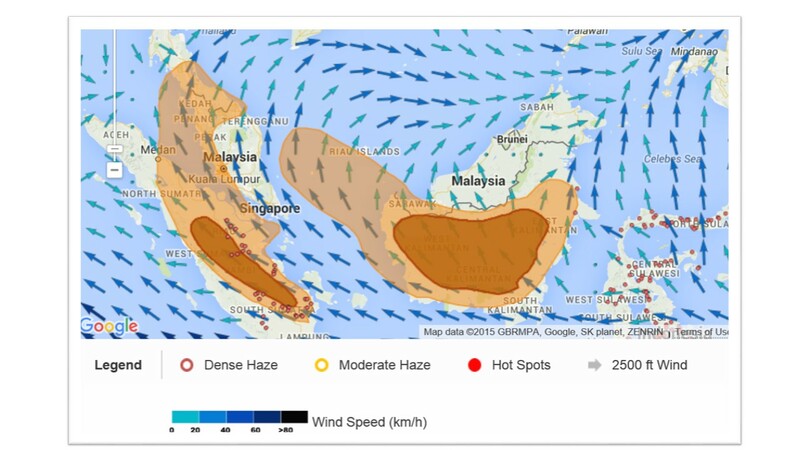 People over there are affected by the choking haze caused by forest fires in Indonesia. 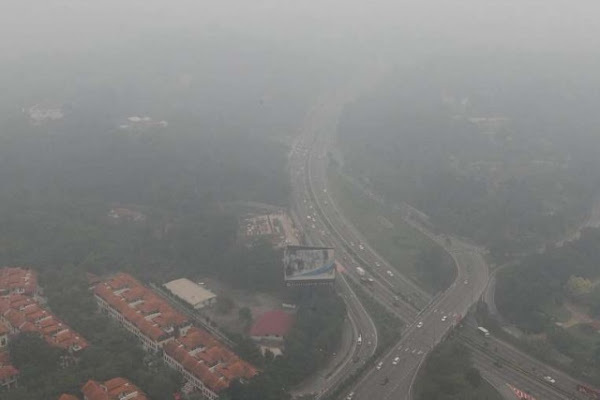 The letter, among others, stated that the haze had started to take its toll on public health. Looking for a guitar on a budget? The gretsch electromatic at Guitar Center may be what you are looking for. Guitar Center is now offering huge discounts for the Gretsch guitars so you're at the right place if you're in the market for a Gretsch. Famous musicians including George Harrison, Pete Townsend, Steven Stills and Neil Young have all slung Gretsches around their necks. The G5420T Electromatic Hollowbody Electric Guitar is a sharp Gretsch guitar with a bound single-cutaway hollowbody featuring sound-post bracing and elegant bound f holes. Other features include a maple neck, bound rosewood fingerboard with 22 medium jumbo frets and hump-block pearloid inlays, silver plexi pickguard, three-position pickup switch, classic "G" arrow control knobs, rosewood-based Adjusto-Matic bridge and Bigsby-licensed B60 vibrato tailpiece, vintage-style open-back tuners and chrome-plated hardware. Better yet, have a listen to the beautiful sound of a Gretsch. Enjoy! This week's personality quiz is The Quilt Test or rather on patterns and colors and what your choice of them say about your personality. Pick the quilt that you like best to find out. 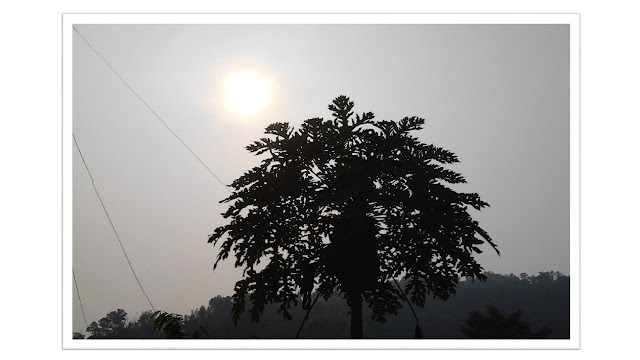 At this time of the year in this part of the world the Haze is one thing that's a part of life whether we like it or not. It affects everyone. 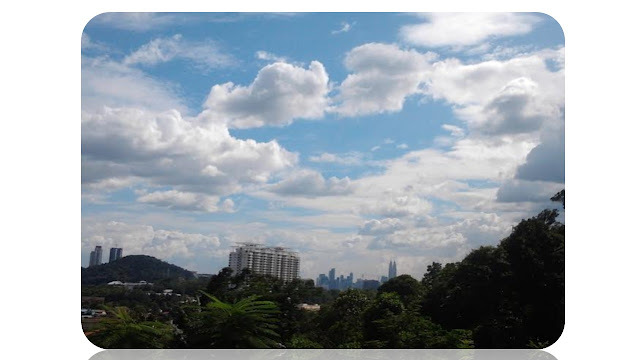 We had some rain yesterday but still not good enough to rid the smog here in the capital city and the Klang Valley though other parts of the country are seeing better air quality today. And no sunshine today. Here's The Quilt Test. Happy Friday, everyone! You are a mild-mannered, friendly, and social person. You value others and enjoy having lots of friends. You are simply happy to be in the company of those you know. You try to be as easy to get along with as possible. You comfort others with your sweet and gentle way of being. You do your best to never be harsh or cross. If you have to be honest with someone, you are never brutal. You communicate kindly and effectively. You find warmth in human relationships, especially if there is a high degree of reciprocity. Your friends tend to be as compassionate as you are. You enjoy the process of connecting with another person, and you believe that we are all interesting in our own ways. Last Week's Quiz: What Flavor Cupcake Are You?